Please refer to our stock # 10459 when inquiring. 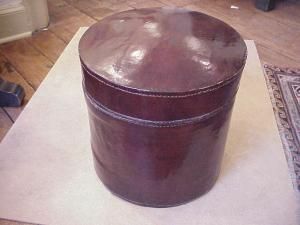 Chinese Leather Hat Box. Qing Dynasty. Highly polished leather. 15.5x16 in dia.